Yes, that realization was about to hit me right in the face yesterday morning as I went into my closet, reached past a summer shirt that brought the recall of so many wonderful adventures on Barefootin’ floating through my head. BAM!! I remembered. I remembered with a great heaviness that when we clean up Barefootin’ this spring and ready her for new adventures, something huge will be missing. 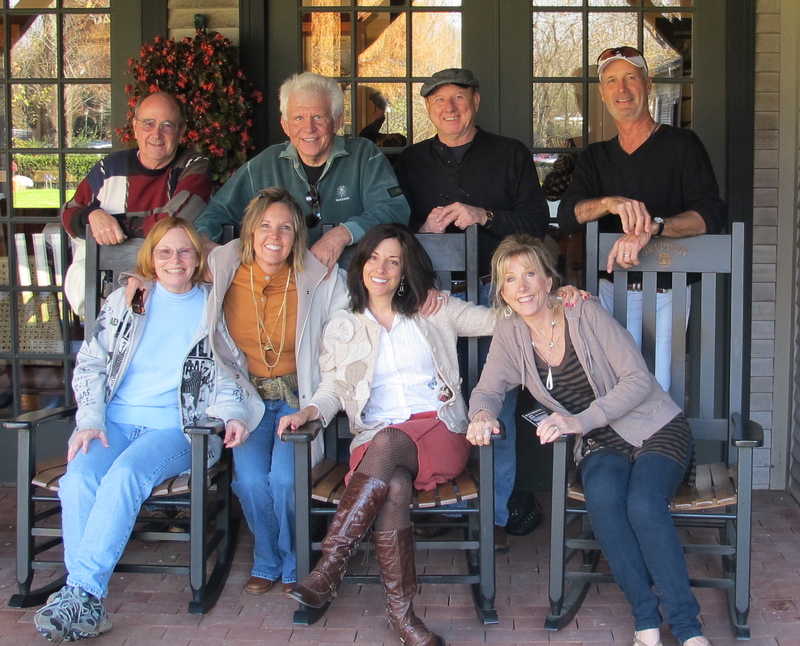 See, a few years back, because of my Barefootin’ blog, we met 6 wonderful new friends. 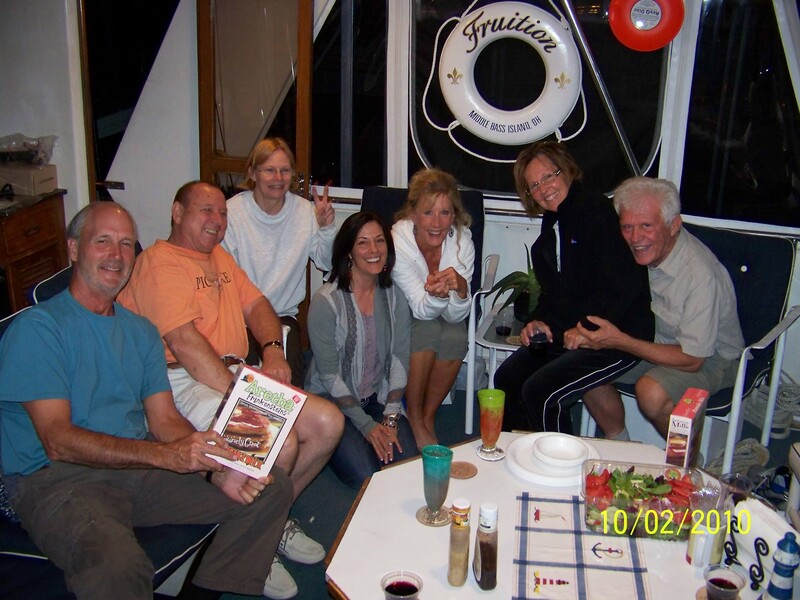 Boating friends that became any-ole-time friends. We spent weekends together on our boats, we spent weekends together at each others’ homes (spread out over 200 miles), we spent nights on each others’ boats. We’ve cooked and eaten breakfasts, lunches, and dinners together. We’ve enjoyed many a happy hour together. We’ve laughed, we’ve cried, and we’ve laughed so hard that we cried. We’ve gone on boating adventures for days on end, we’ve swam, we’ve hiked. We taken boating courses together (see Chattanooga Sail and Power Squadron). We have fallen in love with one another’s pets. We have truly bonded. We are friends for life. Let me explain. At the end of last summer the boating part of our lives began to change, not for one boat owner, but for all. And, for all, in very different ways. Out of our 5 boats (yes, one couple has 2), only 1 boat of the 5 remains where our friendships began. Due to life changes, life dreams, and a bit of poor marina management (I am being kind here), we have all moved to new places. Imagine took a 600 mile trip and has relocated to a new marina (the owners’ work and home sale demanding the new location), Fruition has taken on the adventure and dream of a lifetime and begun its journey (5,000 to 7,500 miles, depending on your chosen path) as “Loopers” (visit American Great Loop Cruisers’ Association), Three Wire moved on up to a fancy marina in Chattanooga and Family Ties (their second boat) continues to hold down the fort at our old marina (someone has to keep us posted) and Barefootin’, the runt of the group, she has moved a bit closer to Chattanooga out of loyalty to friends (maybe I’ll explain that in another post…but, don’t hold your breath). So, there is my pain laid out for all to see. Yes, we’ll make new boating friends no doubt and, yes, life will go on. 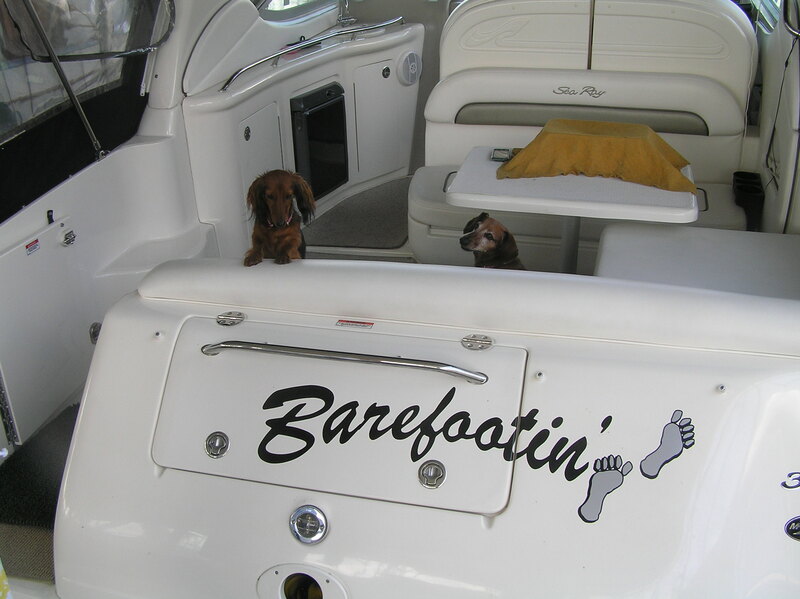 But, as the 2012 boating season approaches, my heart aches at the sweet friends I will miss this year. We will always figure out new ways to visit and laugh and cry together, no one can take that from us. But, the days of waking early and climbing up on deck with that hot cup of coffee steaming and looking through the morning mist rising off the river, to see a beloved friend waving and lifting their cup to you across the way will be sorely missed.